John Mos, Head of Social Housing Sales at EnviroVent, looks at how indoor air quality is becoming an increasingly prominent issue for local authorities as they aim to drive up standards and improve health outcomes for tenants. Early in 2017, NICE (National Institute of Clinical Excellence) released the outline scope for its research project into indoor air quality in homes. The report sets out to identify the impact that poor indoor air quality has on health, particularly in social housing. The scope outlined how, in the UK, people typically spend 60 to 90% of their lives indoors and 60% of that time at home. It detailed how householders are exposed to air pollutants from building materials, furnishings and cleaning products, as well as smoking and moist air from cooking, bathing and drying clothes on radiators. Indoor air pollutants also come from mould or outdoor pollutants entering a home through windows or gaps in walls and roof spaces, which has a significant impact on air quality. Exposure to air pollutants including Radon, Volatile Organic Compounds (VOCs), in the form of paints, aerosols or other chemicals is widespread and can lead to respiratory and dermatological diseases and ultimately, premature death. A persistent problem for housing maintenance teams, particularly in the colder months, involves dealing with issues caused by condensation and mould growth. Homes have become more airtight, following energy-efficient upgrades and this has had a direct impact on the internal environment by lowering the indoor air quality. Looking back at the statistics it can clearly be seen where the problem lies — between 2007 and 2012, the number of cavity wall insulation upgrades increased by 31.5% from 8.5m homes to 11.2m homes (59% of properties with a cavity wall). The number of loft insulation upgrades rose from 9.5m to 14.1m, an increase of 48.4% (60% of properties with a loft), whilst the number of solid wall insulations rose from 65,000 to 122,000. Many homes have undergone energy-efficient upgrades without adequate consideration being given to improving the ventilation in the property, resulting in tenants facing a whole host of different problems. Social housing providers are becoming more aware of the issues tenants face with regard to poor ventilation — which can worsen respiratory conditions, such as asthma, and are seeking long-term solutions. A major issue with improving airtightness is that it traps pollutants in the home, resulting in a much higher concentration of pollutants unless the property is adequately ventilated. Inadequate ventilation can cause a number of issues. 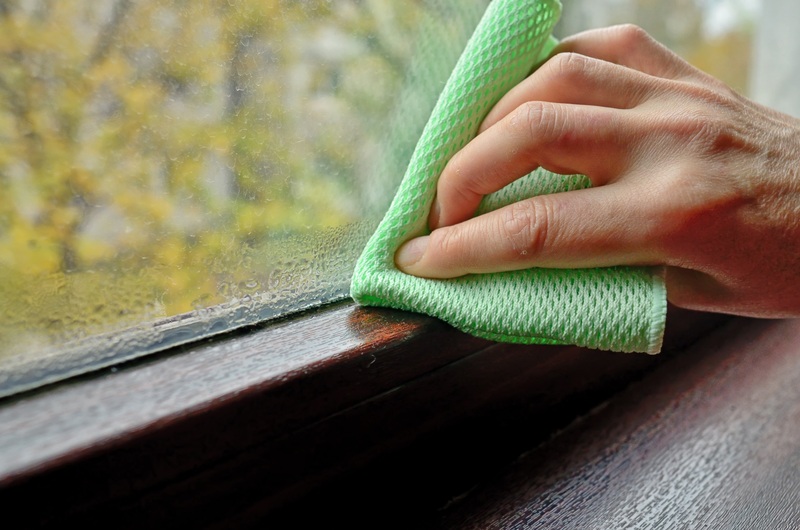 Not least of these is damp: condensation that forms on windows, outward facing walls and around floor level where there is lack of air circulation and relatively cool air. This excess moisture leads to mould growth and a proliferation of dust mites, which has a detrimental impact on people with respiratory issues. Tackling mould and damp-related issues can take up a huge amount of time and resources for responsive repairs teams — with rotting window frames, peeling paint and black walls being the most common. Without a continuous flow of fresh air into and out of a dwelling to control the relative humidity, the internal atmosphere may reach a high relative humidity of around 70-80%, which then leads to condensation. The water droplets that form on colder surfaces can lead to mould growth and, in some cases, damage to the building fabric itself. 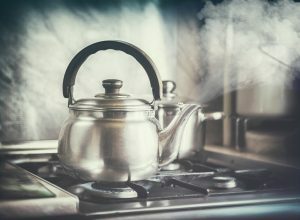 Condensation is often more noticeable in kitchens and bathrooms, because it is where most moisture is generated, for instance from baths, showers and cooking. The situation is even worse when dwellings have internal bathrooms, with no windows, as often occurs in flats, which can be prone to serious condensation, especially if the extract fan is inadequate or not working. One social housing provider that has taken a proactive approach to dealing with condensation and mould is Tees Valley-based Thirteen. Thirteen recently contracted with EnviroVent on a five-year agreement to provide both Positive Input Ventilation (PIV) systems and Filterless Infinity Fans for its homes. Before agreeing the contract, Thirteen carried out an in-depth review of ventilation systems. The housing provider found EnviroVent’s PIV systems to be the most effective and was impressed with the longer warranties offered, technical support and surveys, all as part of the package. Any future Thirteen properties that are subject to energy-efficient upgrades, such as External Wall Insulation (EWI) schemes, will have PIV or Filterless Infinity Fans fitted. By carrying out energy-efficient upgrades in tandem with ventilation system installations, housing providers can reduce the burden on maintenance teams. The PIV units will be fitted in the central hallway or in the loft space, providing whole house ventilation. These units take advantage of the benefits of solar gain from within the loft space, which results in a relative saving of around 150 Watts per day in an average modern family home. This equates to approximately 10% of annual heating costs. PIV systems work by drawing fresh, filtered, clean air from the outside and gently ventilating the home from a central position usually in the loft, above a landing in a house, or a central hallway in a flat or bungalow. They work by diluting moisture-laden air trapped inside the home and replace it to control humidity levels between 45 and 60%. 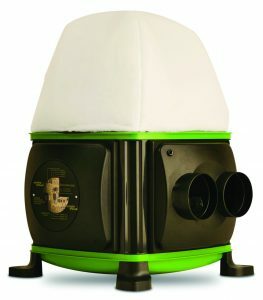 PIV systems are effective in reducing condensation, thus preventing issues with mould growth. Local authorities are becoming increasingly concerned about the issue of poor indoor air quality and its impact on health. Active whole house ventilation system is being seen as the answer as it means for a relatively small investment, a tenant’s home can be free from condensation and mould growth. Failure to provide adequate ventilation can lead to serious consequences for the health of buildings and occupants.